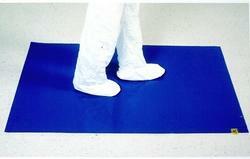 We are providing good quality sticky mats for clean rooms. We put forth impeccable ESD Apron for our valued clients. Manufactured using high-grade required basic material, these offered products are in compliance with the defined parameters of the industry. Further, they stringently scrutinize products to ensure their conformance with the defined parameters of the industry. 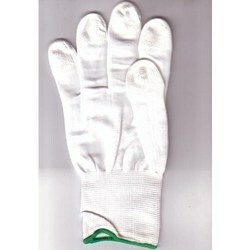 Because of our vast experience, we have been successful in catering to the requirements of our esteemed clients by offering a qualitative range of ESD Hand Gloves. 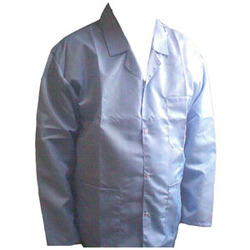 Being processed as par the quality parameters set by the industry, this range is examined on various quality parameters. We can offer surplus quantities of this products at the most comprehensive and market leading price range. 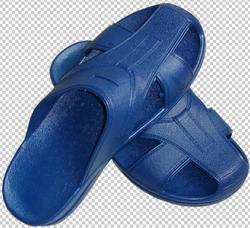 Clients can avail from us, a broad range of ESD Slippers. Demanded extensively by the clients, these slippers are made available to the patrons in varied sizes and specifications and are appreciated for their smooth finish and durable standards. We obtain these slippers from reliable vendors of the industry, in order to serve our clients in the most appropriate and impressive manner.